Successfully Added S70W FPV Drone - Height Setting, 1080P, Adjustable Angle Camera, GPS/GLONASS, 15 Minutes Flight Time, Remote Control Black to your Shopping Cart. 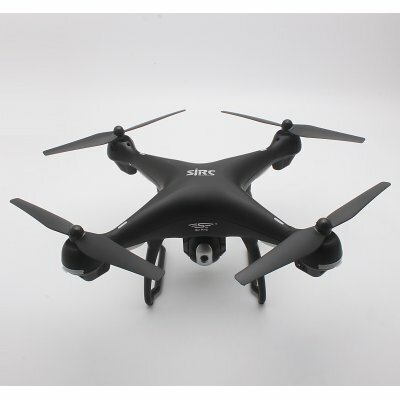 This S70W GPS FPV Drone is a amazing device to record 1080P videos or photos around you with Follow me mode, also it is easily to operate and fly stable for both professionals and beginners. With its 2.4GHz WiFi remote control, you could play it up to 400M distance. With the 2500mAh battery , you could take this GPS drone to fly up to 15 minutes. By pairing to your mobile device app, you will be able to realize real-time video transmission to the drone wifi and APP support both iOS and Android system. And with adjustable camera allows you to focus exactly on what you want to capture. The S70W GPS FPV drone comes with 12 months warranty, brought to you by the leader in electronic devices as well as wholesale quadcopters, drones, and cool gadgets..
Arabic: - الكاميرا بدون طيار - Chinese Simplified: - 相机无人机 - Czech: - Camera Drone - Danish: - Kamera Drone - Dutch: - Camera-Drone - French: - Appareil photo bourdon - German: - Kameradrohne - Hebrew: - המצלמה ט - Hindi: - कैमरा गबन - Italian: - Drone telecamera - Japanese: - カメラ ドローン - Korean: - 카메라 무인 항공기 - Malay: - Kamera berdengung - Norwegian Bokmål: - Kameraet Drone - Romanian: - Aparat de fotografiat Drone - Russian: - Drone камеры - Spanish: - Zángano de la cámara - Thai: - กล้องเสียงพึมพำ - Turkish: - Kamera dron - Vietnamese: - Camera Drone.